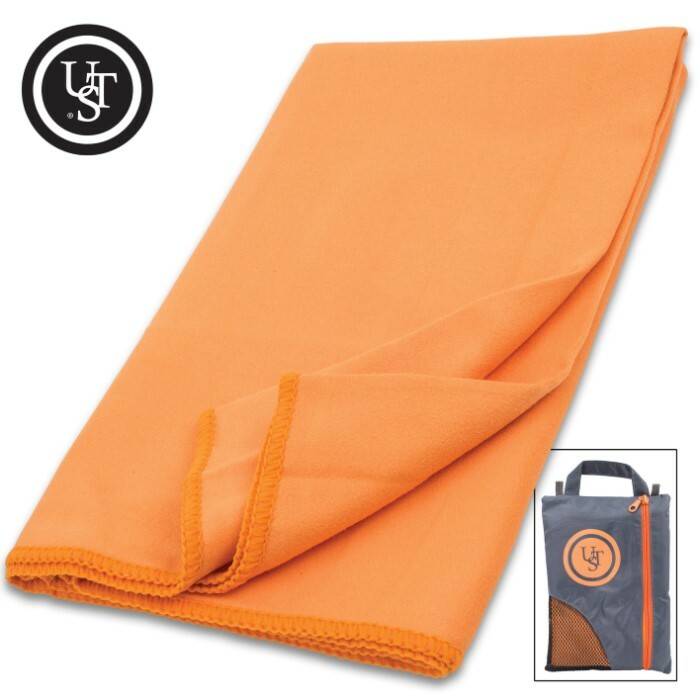 UST Microfiber Towel With Pouch - Super-Absorbent, Lightweight And Durable, Machine Washable - 20”x40” | BUDK.com - Knives & Swords At The Lowest Prices! The UST MicroFiber Towel is ideal for personal care needs during outdoor activities or at the campsite. The super-absorbent, soft material cleans gently and wicks water more effectively than regular, bulky towels. 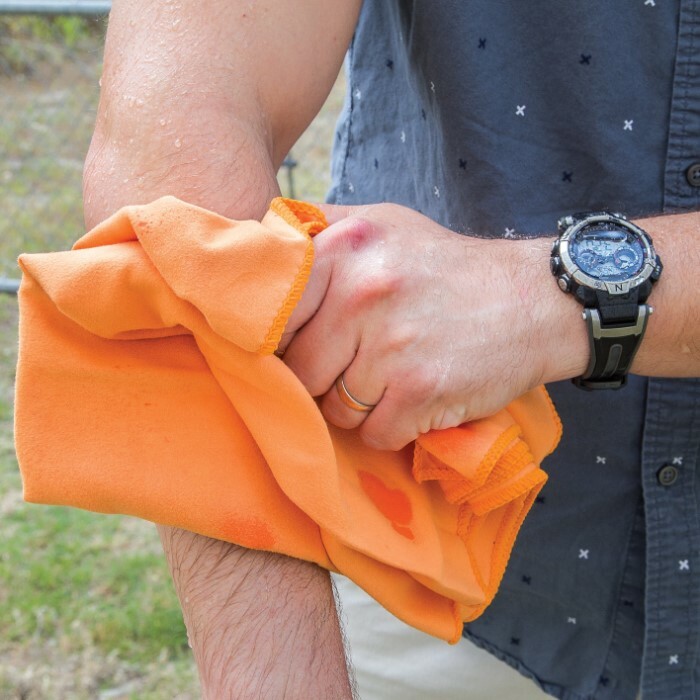 The towel is lightweight and durable and can be machine washed and air dried over and over again. 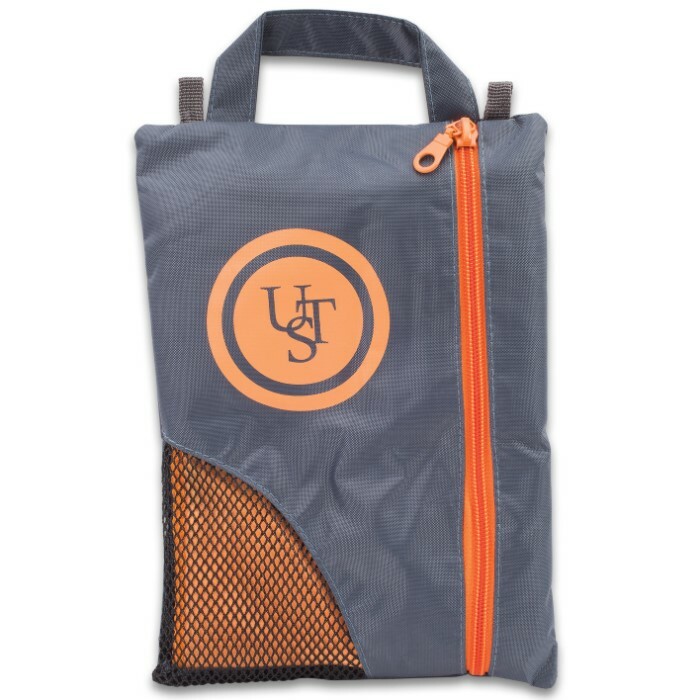 It packs away in its own compact zippered pouch so that you can take it on every outdoor adventure.